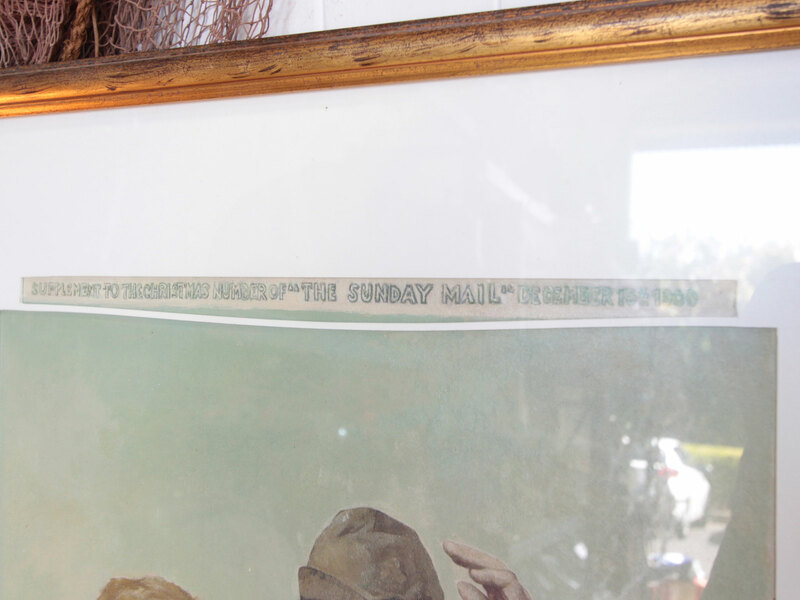 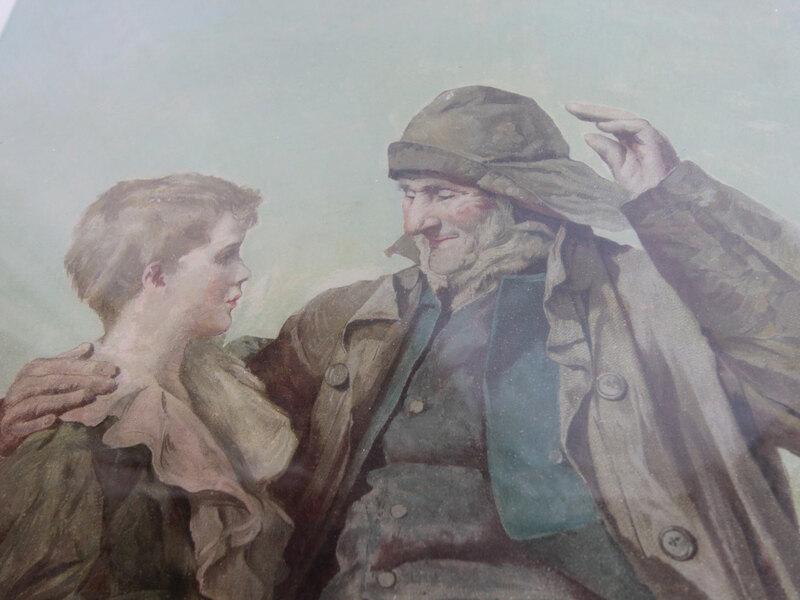 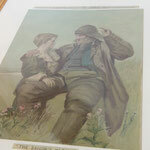 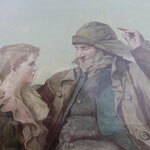 This fabulous old picture is an original page from a 1900's magazine which has been framed. 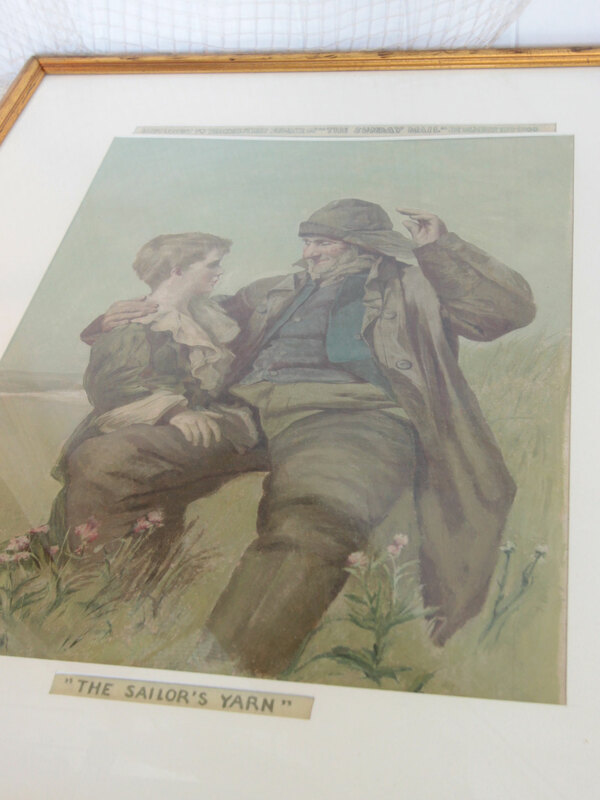 Titled "The Sailor's Yarn" it was a supplement to the Christmas addition of the Daily Mail in December 1900. 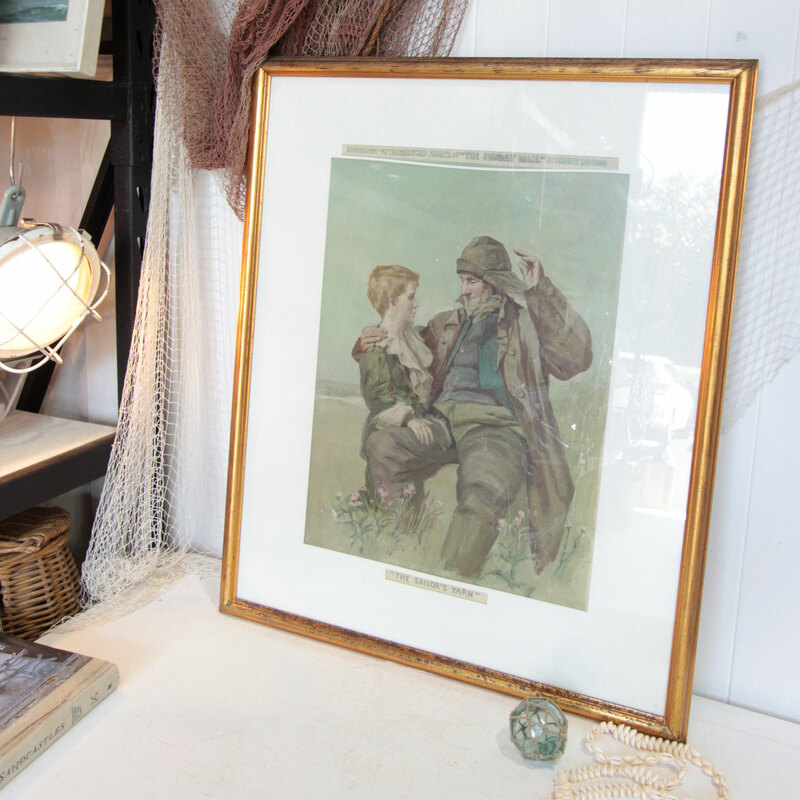 With beautiful muted tones it would look wonderful as part of a gallery wall, or placed with glass floats and coral as part of a sideboard display. Measures approx: 80cm x 67cm 3cm.